I have a huge passion for Football Management games. LMA Manager, Total Club Manager, Championship Manager and now, Football Manager. Each one has hooked me for hours upon hours of my life as I strive to become the next Jurgen Klopp, Jose Mourinho or Pep Guardiola and take the team I choose to manage to the very top of the English football pyramid and dominate European football as well. OK, It sometimes doesn’t work out that way due to my failures of being a manager… but we’ll look aside that. However, one thing is for sure, Football Manager only continues to get better and better and Football Manager 2019 is the most realistic and enjoyable football management sim you’ll ever come across. 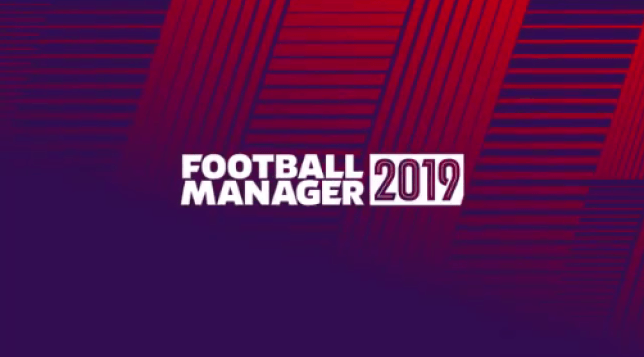 What I love about Football Manager 2019 is that whether you’re a veteran of the series like me or even if this is your first time coming into the simulation of Football management, you’ll soon get yourself getting used to what is going on. Sure it looks daunting at first, but you can choose to have tutorial tips on so that they are all explained to you as you go along. However, if you are a huge football fan like myself, you’ll soon get the hang of it. Football Manager 2019 for me is all about having that challenge. 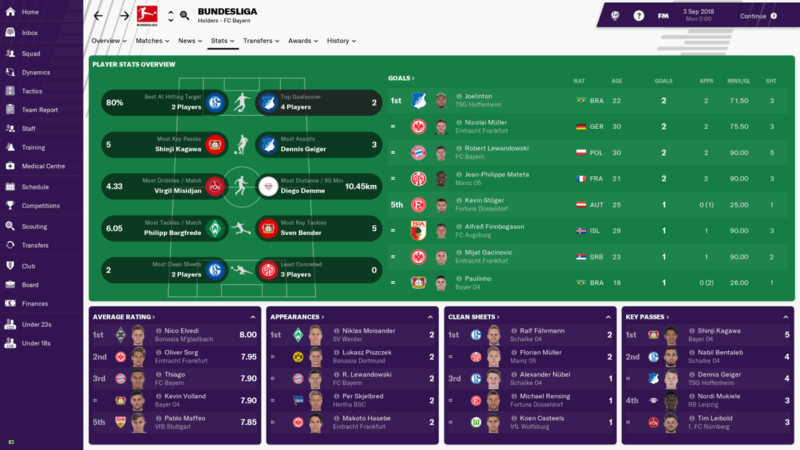 Sure you can pick the likes of Manchester City, Real Madrid or Dortmund (Yes, for the first time the Bundesliga is now officially licensed in Football Manager) and dominate domestic and European football but I do like a challenge. I thought I would start off at League 2 level and went with Lincoln City FC. Something that I could really get my teeth into and hopefully take them onto new heights in just a few shorts years*. Football Manager 2019 isn’t just about taking control of a club and then just hoping for the best. There is so much of your club that you have to control yourself. 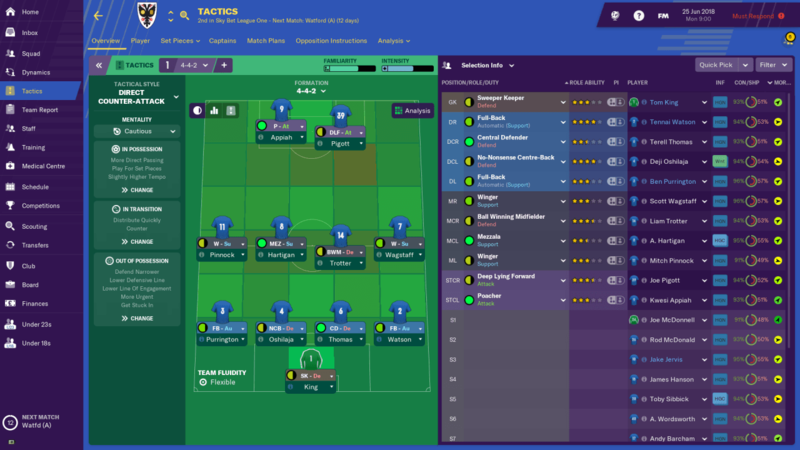 The first thing that I want to discuss is how you set up your Tactics in Football Manager 2019, something that has been vastly improved upon in this years title. As you enter the tactics screen, you are given several options for pre-set tactics which you can use. For example, if you want to set up the exact same way as Liverpool, this tactic has been made for you. If you want to create your own tactic then that’s also fine. You have three options to choose how your team players which include In Possession, Out of Possession and In Transition. All these add up to how exactly you want your team to play. 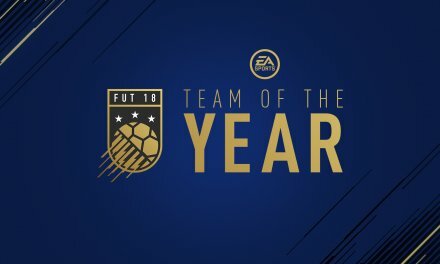 It’s a very in-depth system and tacticians will have the best use of this, especially when your scout sends you a report of how your next opposition sets up so you can tweak your tactics in order to try and get the victory. What I do like about Football Manager 2019 is the social feed. Brought in last year, it works a lot like a virtual Twitter feed. Here, you can see what your fans think of you. I was quite upset to see #NeavesOut more than one occasion from a few disgruntled fans! 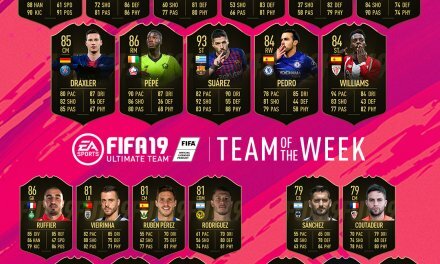 You can also see what your fans think of new signings and stuff like that, so it’s good to keep track of this feature so you can see what you are thought of in the outside world. One of my favourite features and always is in Football Manager is the transfer market and getting the right players in to your team. If I have any advice, it would be to make sure your scouting system is the best that it can be for your level, especially the stats of reading the player’s current and future potential. My management style is always signing players for the future, so I always look for gems who are 23 and under. If you say pay around £500,000 one season for a striker who has been abandoned in a Premier League club’s academy, you could find out that in 5 seasons time, the biggest clubs in the world are fighting it over his signature for £50million plus!. There is so much self-pride in finding those hidden gems it is well worth doing so. Player stats are so important in Football Manager 2019, especially when you are trying to get players in to fit around your tactic. You could enter a new club and that star player could be amazing, but if he doesn’t fit into your system then you have to off-load him in order to recoup the funds (also make sure that the % of transfer revenue is high when selling a player in order to get the maximum out of the deal for yourself). The main stats for a players position is highlighted on the screen but there may be a stat that you yourself see key for your tactic. If you don’t have the stats on for players who don’t belong to your club, you’ll need to make sure that you scout them a few times first. The board are the ones that you need to keep happy the most. Don’t keep the board happy will result in your contract being terminated. You’ll have many meetings with your board for stuff like senior affiliate clubs, a new contract, new stadium etc and whatever they say, you basically have to agree with. Of course results on the pitch are the most important but your board will look at other stuff such as the dressing room atmosphere, wage expenditure and other club matters that could decide your fate. All that is without the Takeover. Yes, we all want and dream of a Tycoon takeover in Football Manager so you can spend serious ££££ but even when/if you get taken over, there is a chance that the new chairman will want his new manager! I could of easily wrote a second or third review talking about features and scenarios in Football Manager 2019 but I wanted to just give you a little taster of what to expect. Football Manager 2019 is everything you would want from a football management simulator and even after 30 hours, I’m only just starting to scratch the surface! *Unfortunately, I was given the sack in February and had to readjust to life at another club!! Summary Football Manager 2019 is the most addictive football management game that I have ever played. 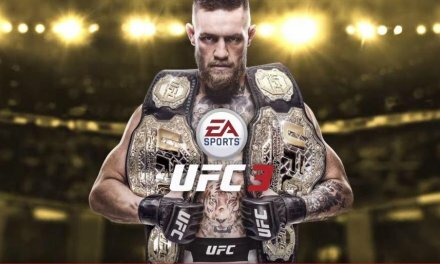 The team at Sports Interactive do an incredible job at bringing such depth into the game and I fully applaud them. What's great is that FM19 will run on most laptops too, so you don't need to go and get yourself a super computer! If you're a football fan, I'd definitely recommend you getting into this over Christmas!